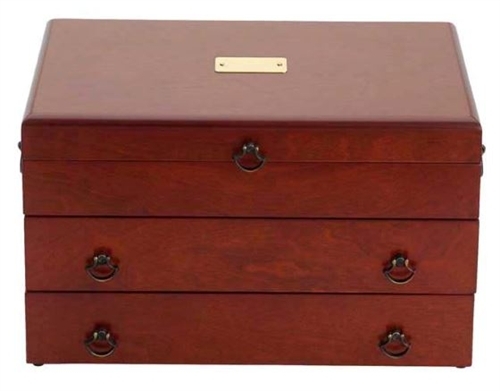 Handcrafted in a lovely Cherry or Mahogany finish, the Bristol Grande Silverware Chest is the largest storage chest available. 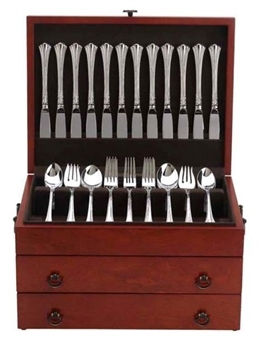 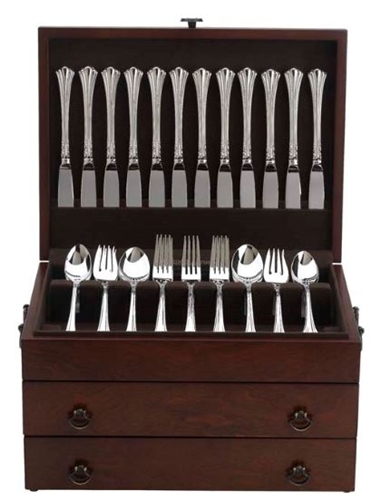 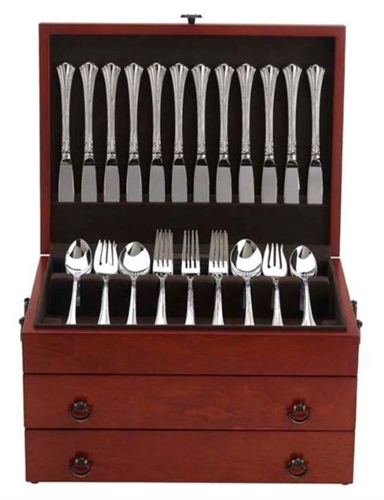 Fully lined with forest green, tarnish-resistant cloth, it is the perfect storage chest for keeping your large collection of flatware safe readily accessible. 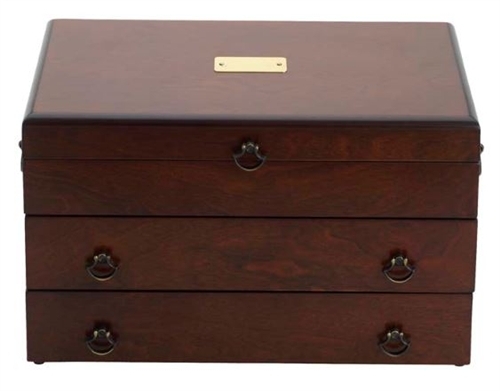 Personalize this piece as well!